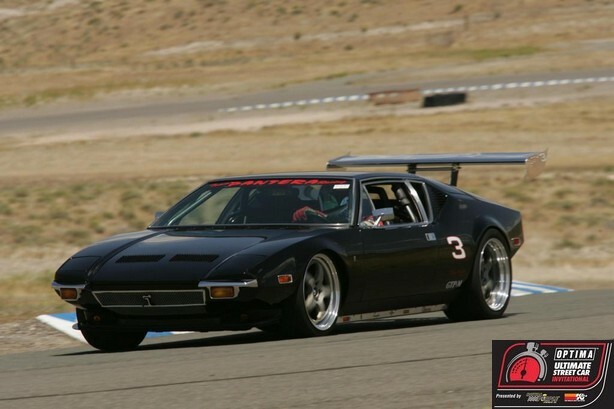 The fifth annual OPTIMA Ultimate Street Car Invitational, presented by K&N Filters and Royal Purple, brought in massive crowds, thrilling moments and record times, ultimately crowning Mark Stielow's 1967 Chevrolet Camaro as the 2012 OPTIMA Ultimate Street Car. It was a year for close competition with the top two participants separated by a single point and a tie for third place overall. The OPTIMA Invitational packed the grandstands with non-stop activity, something for everyone in the manufacturer midway, on-the-ground excitement of television personalities (Amanda Salas and Bill Goldberg) filming the miniseries finale of the OPTIMA Ultimate Street Car Invitational broadcast series. The main race events of the OPTIMA Ultimate Street Car Invitational took place Saturday, November 3rd, with the BFGoodrich Hot Lap Challenge, Ridetech Autocross Challenge, Wilwood Disc Brakes Speed Stop Challenge, and the Lingenfelter Design & Engineering Challenge. The Detroit Speed and Engineering/JRI Shocks Road Rally occurred following the close of the SEMA Show Friday, November 2. With only a point to spare, Mark Stielow claimed his second OPTIMA Ultimate Street Car Invitational title in four attempts. Stielow scored a total of 83 points, out of a total 110 possible across all events, beating second-place finisher Brian Hobaugh. Both Stielow and Hobaugh picked up 10 points each in the Detroit Speed Engineering/JRI Shocks Road Rally. Stielow saw a 16-12 advantage in the Lingenfelter Performance Design Challenge and a 25-22 edge in the RideTech Autocross. Hobaugh topped Stielow 25-22 in the BFGoodrich Hot Lap Challenge and 13-10 in the Wilwood Disc Brakes Speed Stop Challenge.